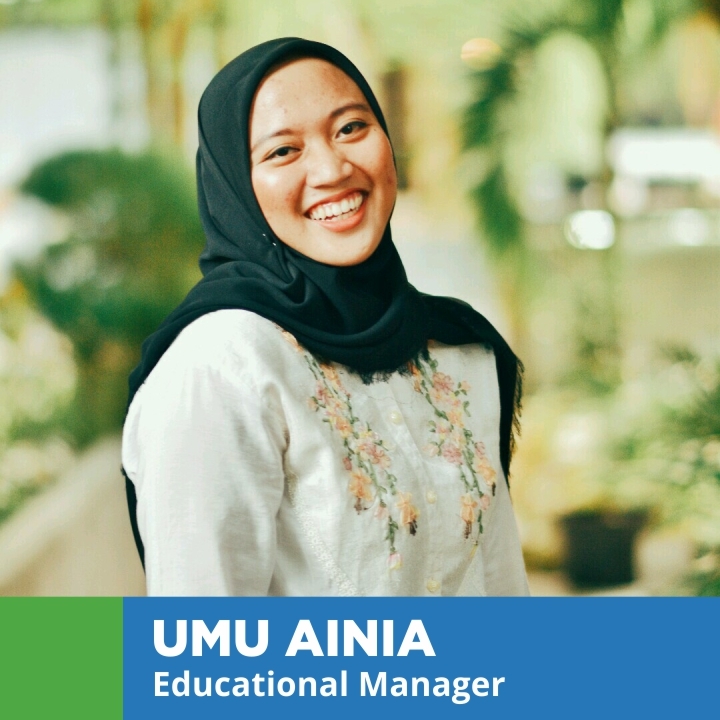 Umu Ainia, Umu for short, is a passionate teacher from Rembang, Central Java. She was born in a family of educators. Her passion for teaching began in Senior High School and was often asked by friends to teach English. Therefore, she decided to hone her teaching skills by getting a bachelors degree in English Education at the prestigious Yogyakarta State University. Umu asserts that teaching students character building like like anti-bullying, health, and the environment is just as important as teaching regular classroom subjects. She believes that introducing students to these issues will increase their awareness of having better life and making a greater impact. Therefore, she dedicated herself to develop alternative education in Project Child Indonesia. Umu has developed several syllabuses for Project Child Indonesia. Her work had been used in over 20 schools in Yogyakarta and Pacitan. Currently, she is developing project-based learning as a new teaching method that will be implemented in Project Child Indonesia.